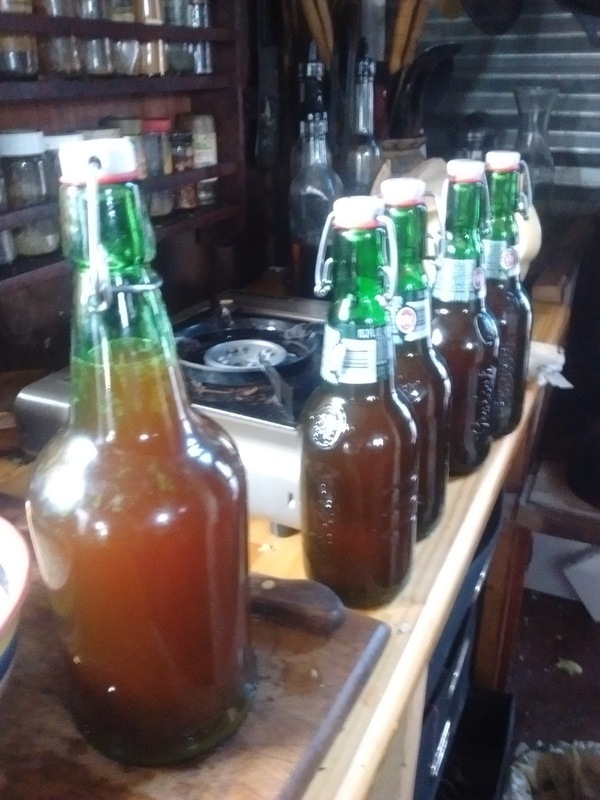 For those of you keeping track, we racked off our cranberry cider into a series of (mostly used) flip cap bottles today, adding a bit of brown sugar to each to make some carbonation. Sigh...never makes as much as I think it will. This is a particularly yummy batch and it's gonna be a REAL challenge to keep out of it long enough for it to finish fermentation and to age a bit. My guess is, we won't. More stuff over at Life, Art, Water, check it out.